This cheetah is ghost like among the reeds on our South Africa Group Safari! On our 2012 South Africa group safari we had a blast capturing photographs of lions, elephants, rhinos, cheetahs, hippos, zebras, giraffes, and so much more! 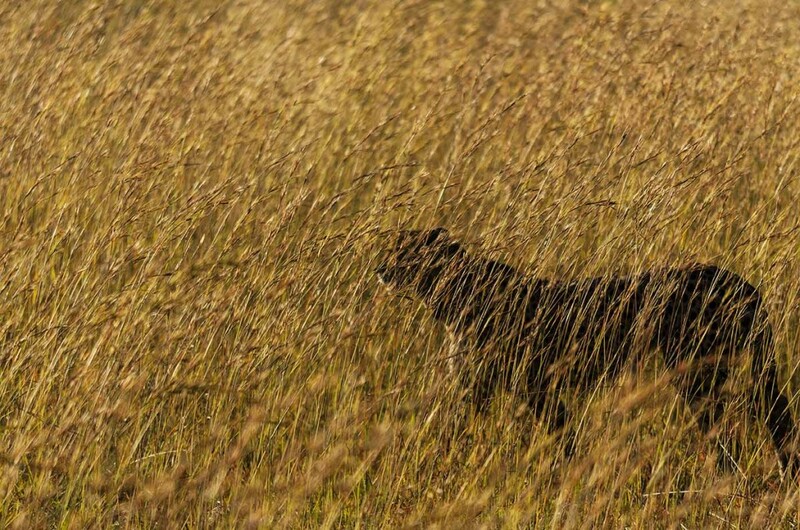 This photograph of a cheetah among the bush grass is one of our favorites. The silhouette effect makes us think of a ghost like creature in the midst of the hunt. We are currently back in South Africa right now and loving every minute of our safaris at the Entabeni Reserve. Come with us next time to get some great shots of these South Africa cheetahs! Great shot! It really does give a sense of the wild. Thanks for sharing!